Ghibli Museum （三鷹の森ジブリ美術館、Mitaka no mori Ghibli bijyutsukan） is the museum of STUDIO GHIBLI and exhibits itmes and characters of Ghibli's animation or art. 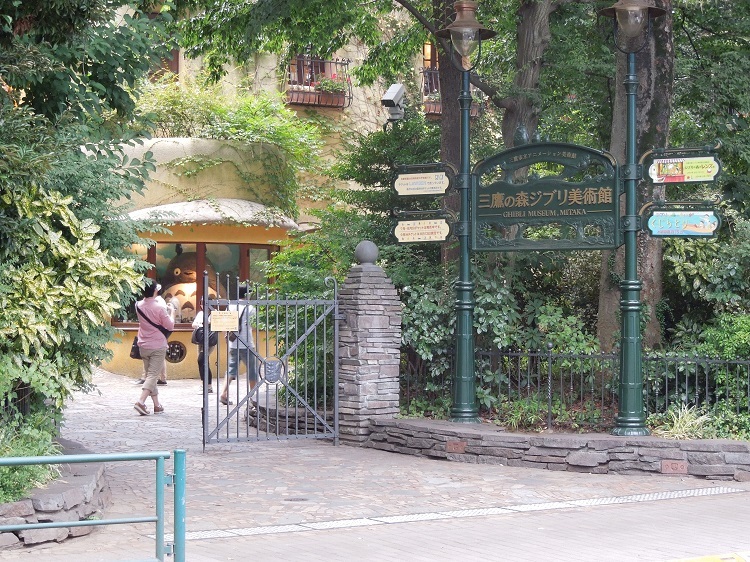 Tickets are not sold at Ghibli Museum. You need to get tickets reservations by YOURSELF. Reservation in Japan can be purchased only at LAWSON (method is wrriten at this page). Also, you can get the reservations in some countries. Detailed information is written this page (official site). The nearest station is Mitaka station and Kichijyoji station (JR Chuo-Line). On foot, you can go to the museum within 15 minutes by walking along Kichijyoji street （吉祥寺通り、 Kichijyoji dōri）. Also, you can use belt‐line bus services from Mitaka station to the museum by 210 yen (children are half price). STUDIO GHIBLI is the most famous animation studion in Japan, and the top of the studio, Hayao MIYAZAKI, is given various awards in many countries. This museum is produced by him, and you can experience the world of Ghibli's animation. For example, in this museum, a statue of robot soldiers (from "Castle in the Sky"), the fake reception by Totoro (from "My Neighbor Totoro"), and many items and goods from his movies are exhibited. Also, on 2F, you can learn how to make animation movies with reprica of materials and tools used in the studio, and on B1, you can see special shrot movies at the inside theater.